92 Area Volunteer Coordinators (AVC's) from across the nation had the joyful opportunity to gather in Little Rock, Arkansas October 14th thru 17th to be part of the first-ever national AVC gathering! 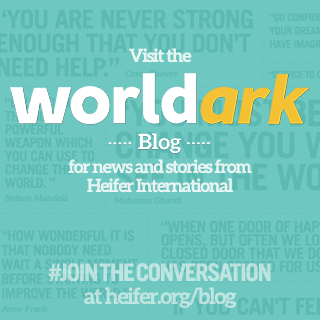 Four days of jam-packed activity and inspiration focused on the incredible work done by the Heifer community; the staff, volunteers and amazing people who gather around Heifer International. What an amazing and impressive community! 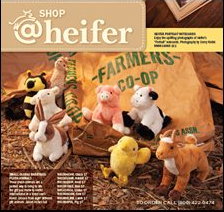 The overarching message: "Heifer is what it is because of the volunteers". Our work is vital to the mission of Heifer and without grassroots groups like ours the life changing work that Heifer is able to perform would not be possible. 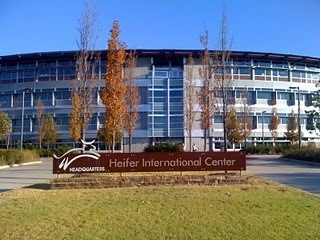 It was a time to renew our understanding of Heifer's work, to make connections with others doing this work and to explore ways to reach even more people to expand our ability "To work with communities to end hunger and poverty and to care for the earth". 0 Response to "First National AVC Convention"